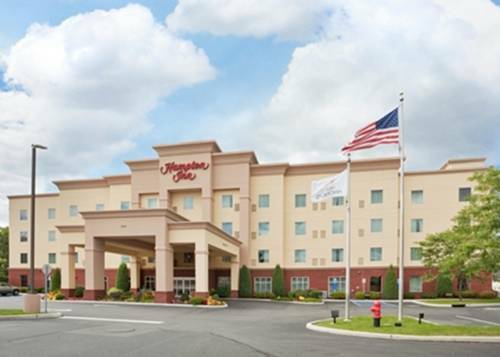 The Hampton Inn Kingston is conveniently located midway between New York City and the state Capitol in Albany NY just minutes from I-87 NYS Thruway. It sits at the foothills of the beautiful Catskills Mountains and in the Historic Hudson River Valley. It is centrally located in the area*s largest shopping district and just minutes from the Historic Kingston Waterfront where the area*s finest dining establishments can be found. Kingston was the first capital of New York State. Much of the history is reflected in the Uptown Stockade District. Ideally situated in the Hudson Valley to accommodate guests in town on business or pleasure. Whether you are visiting the famous town of Woodstock the historic mansions such as the Roosevelt Estate and Vanderbilt Mansion in Mountain and Bellayre Mountain or attending a Horse Show in the Sun The Hampton Inn will provide a warm familiar place to rest and relax.